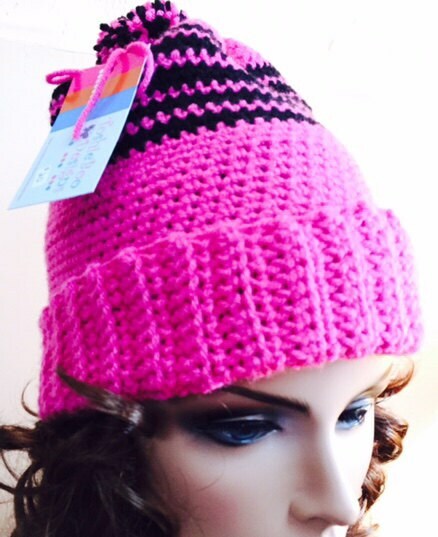 This very warm, closely crocheted hat, has a broad ribbed fold-up band in hot pink, accented with black. This hat features a large pom pom. So beautiful. the photo doesn't do it justice.